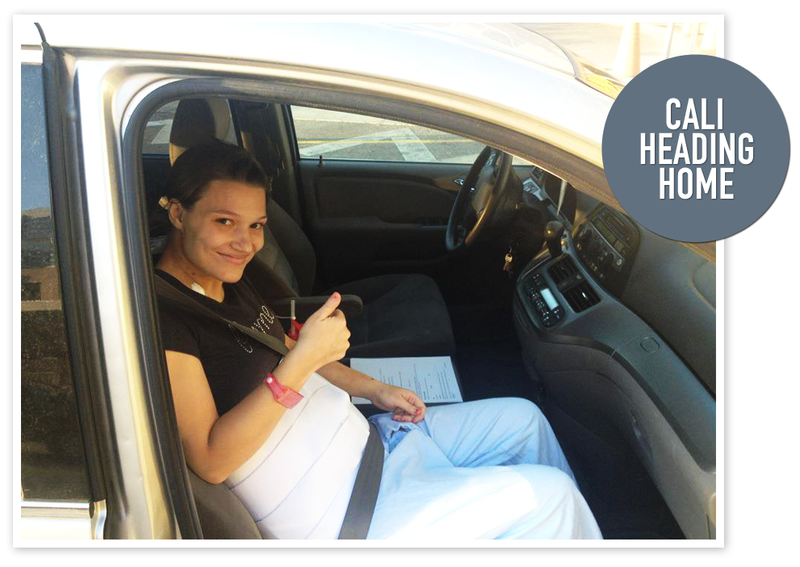 Cali is out of the hospital...wahoo! She headed home last night and couldn't have been more excited. Josh & Cali will be staying with her parents until she's a little further along in her recovery so she has someone to help her with things during the day while Josh is at work. Again, we cannot thank you enough for your faith, prayers and support on Cali & Josh's behalf. It has been incredible! ...as well as the MASSIVE yard sale being held TOMORROW for them from 8:00am-12:00pm at 14525 Camp Williams Road in Bluffdale, Utah. Again you can help by donating items to be sold, spreading the word and/or attending the yard sale and purchasing items. If you have items you'd like to donate, please contact Heather at 801-541-6263 for drop-off locations. We've also created the below advertisement and hope you will share it on your Facebook pages, blogs, Twitter pages, etc. to help spread the word. We've also had an amazing photographer offer to donate several 30 minute photography sessions for a family up to five for $150 per session ($5 per additional person). Session comes with 10-15 digital copies on a disk. If you are interested in purchasing one of these photography sessions, please contact me at erin.h.miller@gmail.com for more information. 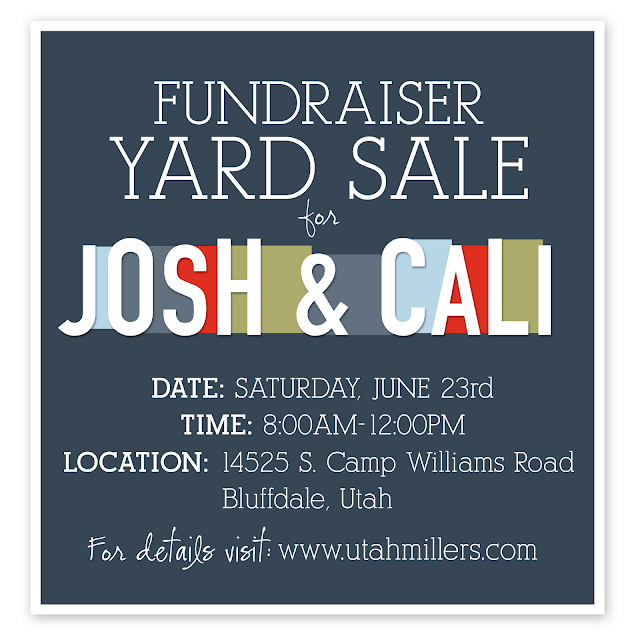 We hope you will come out to the yard sale tomorrow to help show your love for Josh & Cali. There has already been TONS of really great stuff donated and we have a ton more coming in. It's going to be the yard sale of the century and you won't want to miss it!